Are you looking for a Bangkok Airport Hotel for a short layover at Suvarnabhumi Airport or do you need one of the Bangkok Airport hotels inside the airport? Well you have come to the right place because I can point you in the right direction to make a final selection, as there are many hotels around Bangkok Airport, but there is only one Bangkok Airport transit hotel inside the International Terminal. Don't waste hours of your time searching through internet sites looking for a Bangkok Suvarnabhumi Airport Hotel when you have no intention of visiting the city of Bangkok. 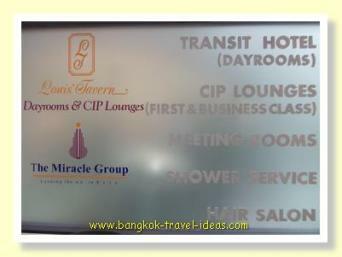 If you have to spend 4 to 6 hours at Suvarnabhumi Airport and you are just looking for somewhere to shower and rest before taking your connecting flight, then consider the Miracle Transit Hotel located inside the International terminal of Bangkok Suvarnabhumi Airport. Rooms start at around $126 including taxes for up to 6 hours for two people, with a complimentary meal. If you are in transit for less than 12 hours, then you will also save the departure tax of 700 baht each by not leaving the airport. This tax will not have been included in your ticket if your connecting flight leaves within 12 hours and should you leave the airport, the fee will be payable upon checking back in. Leaving the airport is not as simple and cheap as people make it out to be. These Miracle Transit hotel rooms are well proportioned rooms and are really quite affordable; especially if you are a couple travelling together. The Miracle Transit Hotel was formerly known as Louis' Tavern Transit Hotel. 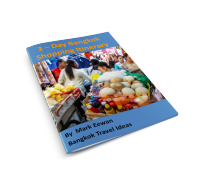 Bangkok Airport was opened in September 1996 and since that time many small hotels have opened around the Suvarnabhumi Airport area and there is intense competition for your business. 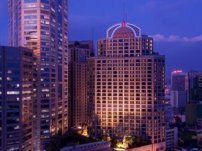 There are also a number of 4 and 5 star Bangkok hotels located within 20 minutes of the airport, these may be more suited to the business traveller. If you have a short layover between connecting flights, then you are probably looking for a Bangkok hotel near to the airport to make the most of your available time. In fact what most people want in an Airport hotel, is somewhere cheap, clean and within a short distance of Bangkok Airport so that they can have a shower, get a some sleep or just relax for a few hours and get back to the airport with the minimum of fuss and delay. If the hotel has a free shuttle service thrown in then that is a bonus. Of course you may want a 4 or 5 star hotel near the airport, so I have covered that also. The Novotel Suvarnabhumi Airport hotel is covered later and is joined to the airport by a short walkway. 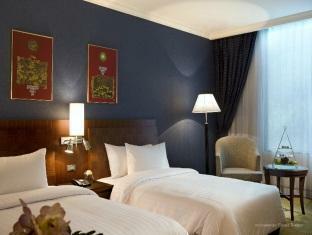 It costs a little more than the budget options but it has all the facilities of a 5 star hotel. If your Bangkok layover is forced upon you by having many hours between connecting flights, then consider staying in one of the small hotels which are all located within 15 minutes of the airport. I have evaluated the Agoda website and created my top three picks based upon customer reviews. 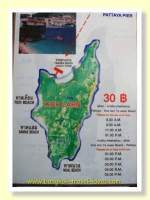 and have used the following criteria to assess the hotels; noise, price, cleanliness and travel time. I now intend to book these hotels in turn, when I next need to have a layover in Bangkok and then I will update my preliminary findings. Prices ranges (excluding taxes) are for Superior and Deluxe rooms (where possible) with breakfast, and are likely to change, but are currently around USD $30. The following hotels were also evaluated and there were many positive comments from patrons and you may wish to check these also. The first review of The Ivory Suvarnabhumi Hotel was conducted at the end of July 2011 and there was a follow up visit in December 2011. 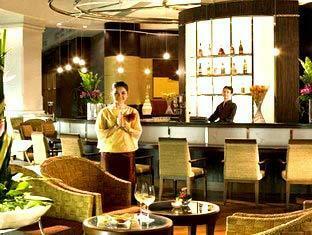 The second review was conducted on the Regent Suvarnabhumi Hotel. 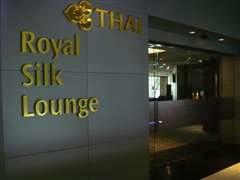 This Bangkok Airport hotel was reviewed in early August 2011 and whilst not part of the original top three it was convenient to check it out. If you want to stay in an hotel near the airport that is cheap and clean then the Ivory or Regent are both good, but for different reasons. 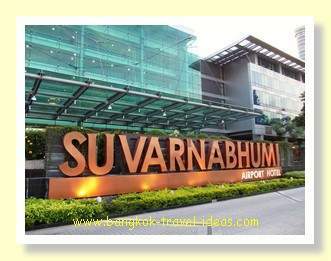 In February 2012 I stayed at the Cottage Suvarnabhumi Airport Hotel and wrote up my experience. It was pretty good, I have to say. I stayed again in October 2012, but didn't have anything to add to my first review. It was still professional and a good experience and is a purpose built hotel with a swimming pool. 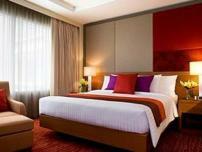 In November 2012 and April 2013 I stayed at the Novotel Bangkok Suvarnabhumi Airport Hotel and was pretty impressed. You can read the review of these Bangkok Airport Hotels at the linked text and make up your own mind whether you prefer the Cottage Suvarnabhumi Airport Hotel or the Novotel Bangkok Airport Hotel. 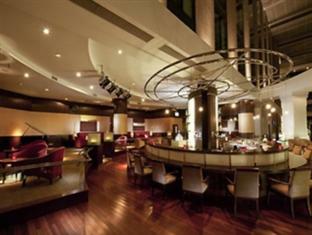 Another great Bangkok Airport hotel, located 20 minutes from Bangkok Airport, is the Dusit Princess Srinakarin Hotel. This one ticks all the boxes, with a shopping centre and restaurants next door it is an ideal choice if you are travelling with family or you are just on business and want to have a wander around. Check out a more detailed review of the Dusit Princess Hotel here or hop onto the Agoda website to read reviews and check room availability. 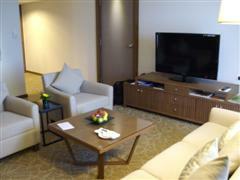 If you want good value for money and a little extra space then check out the pictures of the suite room. These rooms were upgraded since I stayed there and you will have a very nice experience staying in this part of Bangkok. Take the 24-hour complimentary shuttle bus and the hotel is located just 5-minutes drive away or there is an underground walkway which stays open permanently. The walkway is much quicker than taking the shuttle bus and is good exercise after sitting on the plane and the walk takes just a few minutes in an air-conditioned environment. If you are feeling lazy or if you have too many bags to pull along then the complimentary shuttle bus is located at Gate 4 on the arrival level. The Novotel Bangkok Suvarnabhumi Airport hotel has no set check-in time, so you just arrive and check-out 24-hours later. Expect to pay about $160- $230 (inc taxes) depending on your selection of cancellation conditions or inclusion of breakfast. This price may vary depending upon the season so just take it as a general guide, but you can often get the upgrade to the Club room that includes free breakfast and cocktails and snacks in the evening. The Hotel Novotel Bangkok Suvarnabhumi Airport does offer a best price guarantee, which basically means they will match any other price you find. I believe that you could get a better rate for this hotel than advertised on their website by booking at Agoda Bangkok. Do take time to read my hotel review as it is a great option when you need a hotel close to the airport and it is surprisingly good value especially if you can get the Executive package. If price is not a concern (like when your Company is paying), when selecting a Bangkok Airport Hotel then this is a great choice if you have a Bangkok Airport layover.